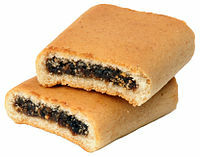 Snacked on any Fig Newtons lately? Tasty, right? Like the ad says, “A cookie is just a cookie, but a Newton is fruit and cake.” …And wasps. They must have run out of space on the package for that last part. 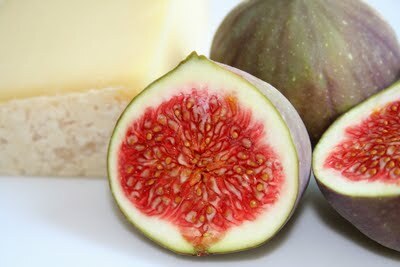 Before you toss out your favourite teatime treat, I should point out that without those wasps, the figs themselves wouldn’t exist. [Personally, I love Fig Newtons and will eat them regardless of any insects present.] This plant-insect pairing actually represents one of the most stable symbioses out there, with evidence suggesting it has existed for over 65 million years. 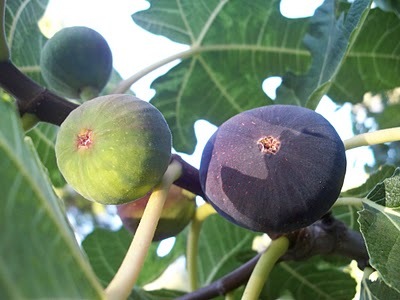 While it’s not entirely clear how this arrangement evolved in the first place, fig trees produce a unique structure called a synconium, in which the flowers are actually inside the part we think of as the fruit. This synconium, which can contain up to 7000 flowers, depending on the fig species, has a tiny hole at the tip called an ostiole. In order for the flowers to be pollinated and the fruit to grow, a female wasp must squeeze through that hole, often losing her wings and antennae in the process, and distribute pollen that she carries in a sac on her abdomen. As she does so, she also uses her ovipositor to reach down into some of the female flowers and lay her eggs in their ovaries, where a gall is formed and the larvae can develop. Then she dies and ends up in a cookie. The End. But hold on, let’s remove humans from the equation for a moment. She dies, but her eggs hatch into little moth larvae which use the growing fig for nutrition. Once they’re old enough, the young wasps mate with one another inside the fig (another nice mental image for snacktime), and the females gather pollen from the male flowers and store it inside their abdominal pollen baskets (yes, that’s actually what they’re called). The wingless male wasps have a simple, three step life: 1) mate with females, 2) chew a hole through the fig so they can leave, 3) die. That’s pretty much it for them. They may escape the nursery with the females, but they’ll die shortly thereafter, regardless. In fact, even the females have a pretty rough deal; from the time they’re old enough to mate, they have about forty-eight hours to get their eggs fertilized, gather pollen, find a new synconium, distribute the pollen, and lay their eggs. Two days, and their life is over. No pursuit of happiness for the fig wasp, I’m afraid. As with any long-standing mutualism, there are, of course, parasites ready and waiting to take advantage of it. These parasites are wasps which are able to enter the synconium and lay their eggs, but which do not pollinate the fig. 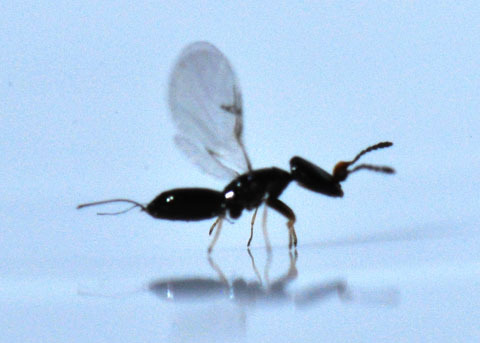 Although their eggs will crowd out those of the fig wasps, decreasing the number of fig wasp larvae born, they are kept in check by the fact that any unpollinated synconium will be aborted by the tree and drop to the ground, taking the parasite eggs with it. The nonpollinating wasps are therefore kept from being a serious threat to the tree’s pollinators. Seeds, or wasp eggs? You be the judge! It has been said that every living species represents a unique set of solutions to a unique set of environmental challenges, and we have the endless trial-and-error of natural selection to thank for those solutions. The adaptations that enable organisms to survive and flourish are often elegant in their simplicity- testaments to the beauty of nature. At other times, the solutions are, well... questionable. This blog is dedicated to exploring all the wonderful freaks of nature and the strange twists and turns evolution has taken along the way. Click here to subscribe to my monthly science newsletter, A Feast for the Curious. You’ll receive a single monthly newsletter (and nothing else!) 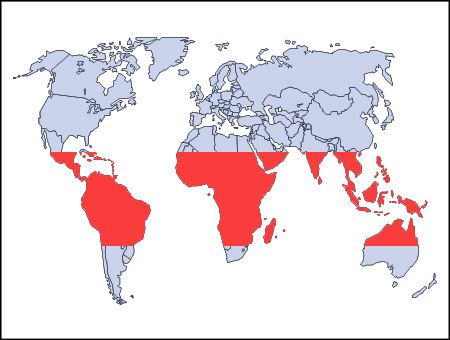 with my most recent posts & publications, as well as a selection of the most interesting articles from around the web on evolutionary biology, botany, zoology, science history, & scientific illustration. Life is a feast for the curious… keep your appetite up.